This post contains affiliates. See affiliate disclaimer here. A couple years ago, my husband and I were living on the edge financially. We were determined to look for ways to work online so we could get my husband out of the soul-sucking corporate jobs and travel full-time (traveling was our passion). But it wasn’t easy… at all. 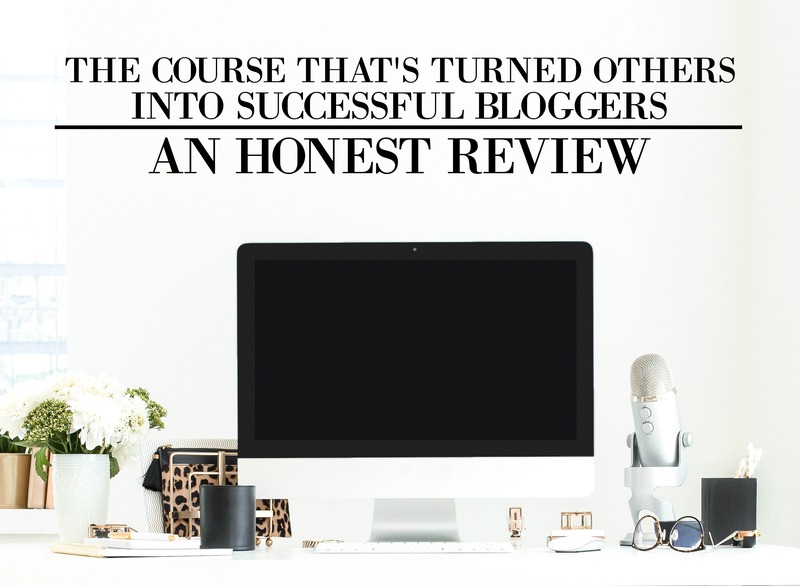 We kept on hearing other full-time bloggers talk about how it took them 3 years to start seeing any substantial income from blogging. “It takes years to create a successful blog!” Was one of the common things we heard online. So we took it off our list of possibilities and moved on. That is until we heard a podcast on The Side Hustle Show interviewing Rosemarie Groner from The Busy Budgeter. Rosemarie was giving a ton of actionable advice we had never heard before. And when we heard that she had started making $5,000 in just a YEAR after taking blogging seriously, this was our new reaction. We were hooked. The idea that we could follow her advice and start seeing income from a blog was incredible! But when she told us that all the advice and tips she was giving was due to a specific online course, we were definitely curious. Rosemarie gave all credit to an online course called Elite Blog Academy. She had talked about how she was nervous about spending any money on sometimes, especially since her and her husband were penny pinchers. But when she gave in and took the course (after much thought), it changed her life. She had followed each step and started to see success with her blog. And by the end of the year, she was making over $5,000 a month. And We Were Nervous Too! Silas and I were living paycheck to paycheck and our car kept on breaking down in the middle of winter. It wasn’t fun. There was lots of worry and stress and the idea of spending money on an online course was pretty scary. But because it had changed Rosemarie’s life (and so many others), we decided to take the plunge and see if it could help us. Quick Note: If you’re curious about how to start a blog (for profit or fun), you can check out my 10 Steps on How to Start a Blog in Minutes Here! So What’s in Elite Blog Academy? Elite Blog Academy (or EBA as it’s affectionately called by its students), is a course that will take you step-by-step from launching your blog to turning it into a full-time income source. It shows beginners or those wanting to take their blog to the next level, in detail, what they need to do to start seeing profit. – The basics on how to create a blog. – How to write amazing content that will create avid readers. – How to use Pinterest to drive massive amounts of traffic to your site. – The different ways to make money with your blog, and how to do it. – SEO (Search Engine Optimization). There is a lot of free info you can get out there that will help you out, but they’re only going to share so much. When you actually invest in a course like this, that’s when you can start getting the help you really need. That’s when you can start seeing true growth in your knowledge and your blog. Another Quick Note: Elite Blog Academy opens up only once a year (in March) for 5 days, so your best bet is to get on their waiting list here! Now you can take this tip and apply it to many courses out there, but this is especially important for EBA. You need to be willing to apply everything unless you discover another strategy out there that works better for you. I’ve heard so many people complain after taking this course (or others in general) that it “just didn’t work for me.” But when asked if they did certain important steps in the course, they admit that, no, they never got around to it. So if you’re going to take Elite Blog Academy, then you need to be sure that you’re willing to put the work into it. – People who want to start a blog and make a full-time (or part-time) income. – People who have already launched their blog and want to make a full-time (or part-time) income. – People who have been blogging as a hobby, but now want to make it profitable. – People who have been struggling to make their blog profitable. – People who are full-time bloggers who want to glean out any helpful information they can get. – People who want to be hobby bloggers. – People who have a hard time following each step. – Pro bloggers who are already making amazing money every month (unless they want to check it out and recommend it to their readers who are just starting out). So When Does It Open Up? Sadly, Elite Blog Academy only opens up once a year around the beginning of March. But thankfully you can sign up for their waiting list here and they’ll announce when they’ve opened cart! Now I’d definitely recommend signing up for EBA’s waiting list, but if you have any questions about the course, please feel free to email me or ask in the comments down below! I’m seriously happy to help out! If you’ve been curious about starting a blog for profit (or even as a hobby) and you’re not tech savvy, then you can totally check out my step-by-step guide that will show you how to do in it minutes! I heard your interview on Do You Even Blog and LOVED IT!!! Thank you for sharing so many actionable pieces of advice. At first when I heard of Elite Blog Academy, I thought the idea was outrageous, but now I’m taking blogging seriously and can’t wait to enroll when the course opens. Thanks for sharing. And thank you SO much! I really appreciate it!